A busy week at Ethos public relations! 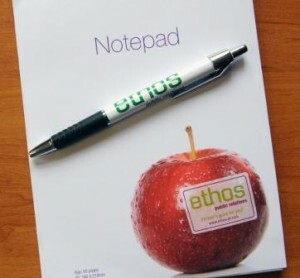 It has been another busy week for us at Ethos public relations, working on a wide variety of projects as usual. At the weekend, we attended a new business meeting with a national charity, which is developing an exciting anniversary project for next year. It was lovely for us to meet such enthusiastic, committed people. On Monday, we set up a BBC radio interview for one of our clients, which was broadcast yesterday. In addition, we have arranged an interview for a community radio programme, which will be recorded next week. For the last few days, we have been liaising with a graphic designer and one of clients to develop a new logo for an online business. We have also been working with a client on a naming project for a new system they are implementing. There’s never a dull moment at Ethos public relations! If you would like to know more about how we can help help you, please do contact us. This entry was posted in Ethos public relations, News and tagged communications, Ethos public relations, PR on April 2, 2014 by Ethos public relations news. The latest news story on our sister website, www.charity-pr.co.uk, is about a new campaign to help get more people online. We regularly update the news on the site, which is designed specifically for charities. The website outlines the PR and marketing support we can offer charities, and provides communications tips and information which we hope not-for-profit organisations may find useful. Ethos public relations has worked with a number of charities for over 15 years, helping to promote their services and secure media coverage. As well as helping charities make the news, we are equally passionate about helping charities get their messages out to the public. If you would like your charity news to be published on the charity-pr.co.uk website, please email us your story so that we can consider it. A great photograph also helps! This entry was posted in Charity, Ethos public relations, News, Uncategorized and tagged charities, charity PR, communications on January 15, 2014 by Ethos public relations news.